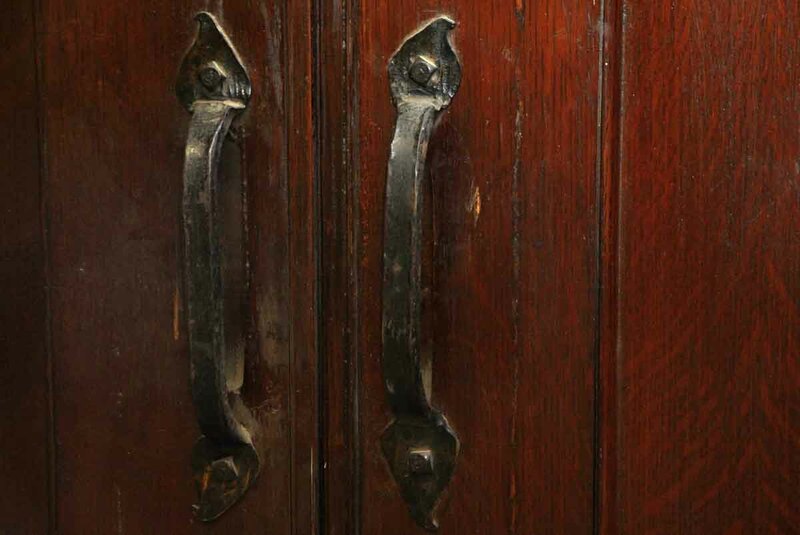 These quarter sawn oak doors have their original finish and hardware. 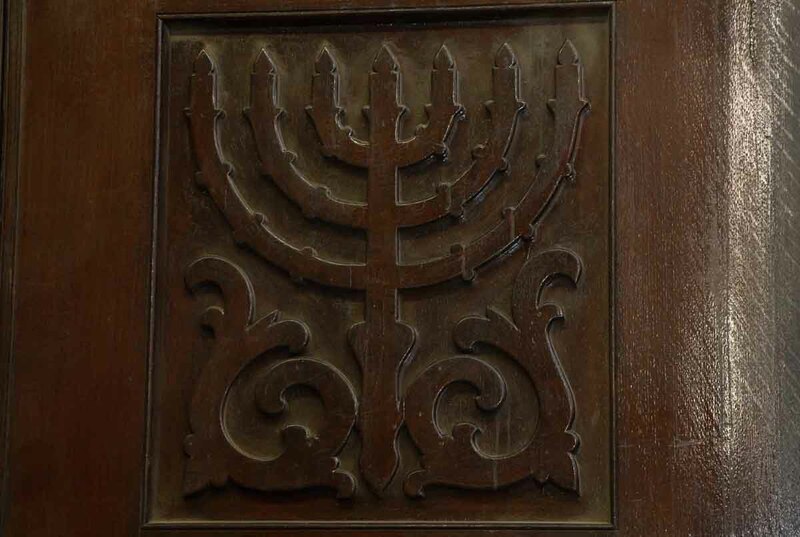 The menorahs on each door are wooden also. 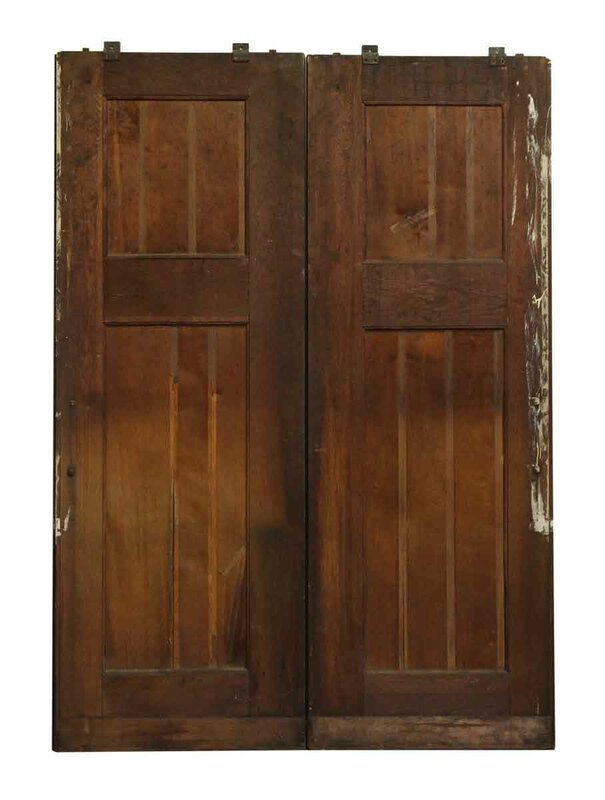 The doors are plain on the back. They are in very good condition. Priced as a pair. 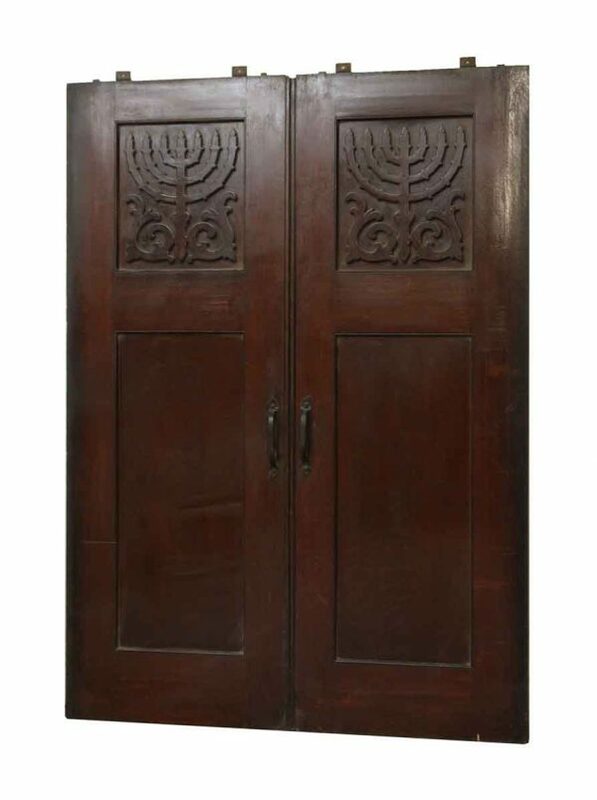 Matching surround is item number #N245146.